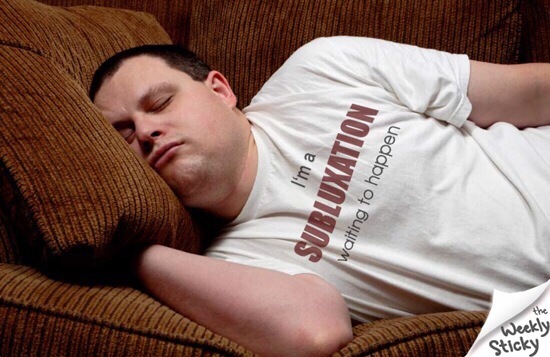 I think I Slept Wrong… | Doppsonline.com Dopps Chiropractic: Our family bringing health to your family for over 40 years! Your atlas is a small 2 oz bone that holds up the entire weight of your head, about 10-12 pounds or the size of a bowling ball. It’s the most movable bone in your spine AND the most vulnerable to misalignment. When it’s wrenched out of position from laying in an unnatural crimped posture too long, it can create sustained pressure on your Nerve System and wreak havoc in your health if not corrected.